A comedy cabaret evening - music , entertainment and variety, swinging from the alternative to the surreal. A Gala Widdle! 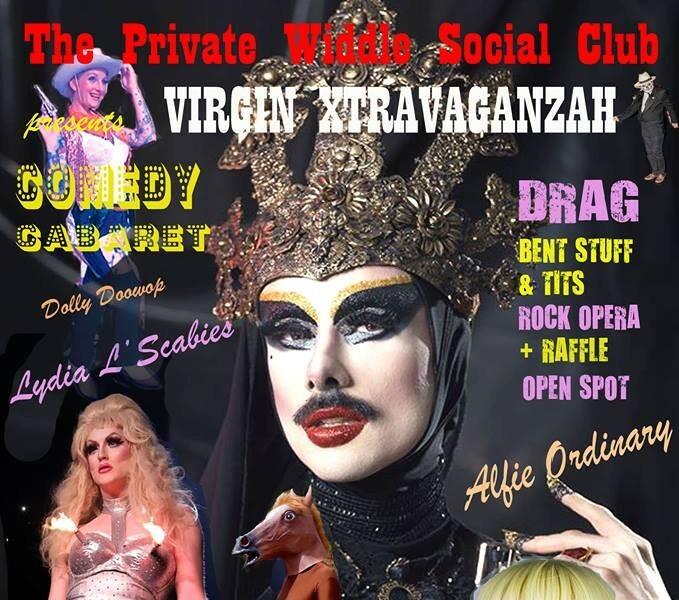 Virgin Xtravaganzah, plus The Hare and Hoofe rock opera, Alfie Ordinary, Lydia L'Scabies 'Dolly Doowop' Joe Bangles, Andrew Walter Burt and more!